On December 29 Andre Chachere got a call he’ll never forget. 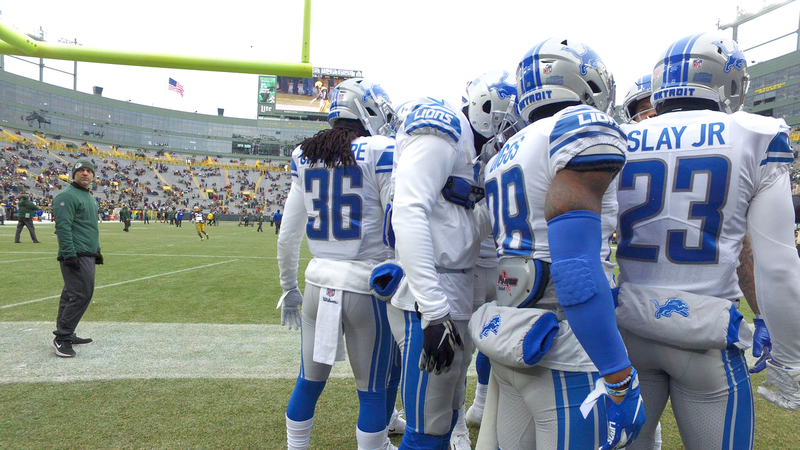 After spending all of 2018 on the Houston Texas and Detroit Lions practice squads, and just a day before the Lions were to march into Green Bay in the Lions’ final game, the cornerback was told by an assistant he was going to suit up. For the 2014 Clovis West grad, it was certainly a dream come true. The first person he called was his father, Derrick, followed by mom, Romy, who cried happy tears of joy. He also took an encouraging phone call from younger brother, Dante, a Clovis West senior quarterback who has signed with Portland State. Although Chachere, listed at six-feet tall, 200 pounds, did not see any action in the Lions’ 31-0 victory, suiting up for the 53-man squad was a testament to his hard work and determination. Undrafted out of San Jose State where he earned First-team All-Mountain West Conference his junior season – a season he ranked No. 4 nationally in pass breakups and recorded four interceptions – Chachere signed with the Texans and was on the 10-man practice squad until he was cut two days before Thanksgiving. However, the Lions quickly gobble him up about a half an hour later and offered him a job on their practice squad. “I didn’t have any time to be sad because it happened so fast,” he said. Chachere took the roster spot of DeShawn Shead, who was injured during the week leading up to the Packers’ game. And what a memorable first NFL game it was, a freezing 19 degree day at historic Lambeau Field, capped off with a 31-0 victory. “I went out on the field about 20 minutes before everyone else did,” he said. “I was taking everything in and walked around the field and took pictures. His hard work was not only recognized by the Lions’ coaching staff, but he was rewarded by Lions’ management with a two year contract after the Green Bay win, providing security when training camp opens in June. Chachere is also motivated because of his son, Dreyden, born on March 17. “He’s the world for me,” Chachere said. “This is my job so I don’t take it for granted – this is how I provide for him. So when I’m out at practice or on the field everything I do is for him.